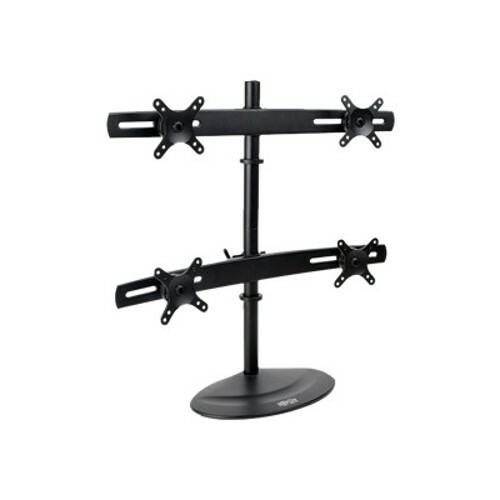 TrippLite Quad Full-Motion Desk Mount for10" to 26" Flat-Screen Displays (DDR1026MQ) $178.83. TrippLite Quad Full-Motion Desk Mount for 10" to 26" Flat-Screen Displays (DDR1026MQ) for $178.83. VESA-compliant DDR1026MQ Quad Flat-Screen Desk Stand frees up valuable space in your workstation and increases workday productivity by enabling the suspension of 4 flat-panel displays on a single base.